Since primitive times, humans have grouped around the fire for heat. There is something about the modern man that still craves the look and feel of a good fire. The feeling of radiant heat seems to be purer than the blown heat of a central heating system. The Flavel Firenza black radiant gas fire satisfies the craving for radiant heat instilled in all of us. 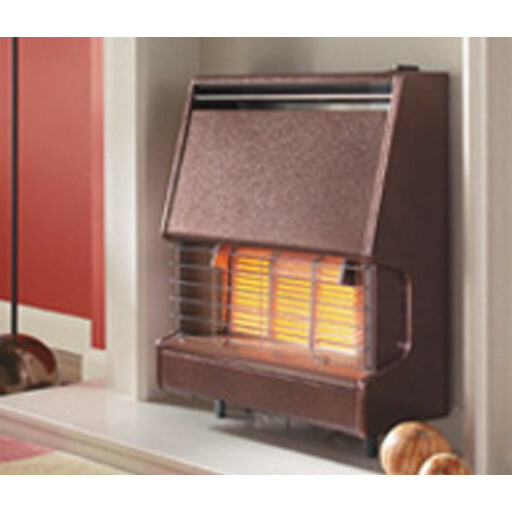 Is wall mounted gas fire is an attractive addition to any home. The Flavel Firenza gas fire burns natural gas only and can be hearth mounted or wall mounted depending on the wishes of the homeowner. The gas fire is adaptable to your current flue, able to safely operate within a traditional brick chimney in older buildings or pre-cast flues, which are now extremely common in homes built since the 50s. Built with modesty in mind, this medium-sized wall mounted gas fire provides a soft glow in any corner of any room. Rated at an incredible 74% efficiency, the Flavel Firenza black radiant gas fire provides the look and feel of a more traditionally styled fire, whilst delivering the heat and efficiency that you would expect from a modern gas fire.